Last year we were approached by Guusje Haas with a very special wreath request for her wedding day. We always love special requests, so we couldn’t be more exited. Guusje Haas is founder and owner of H.A.A.S, a webshop offering boxes with the best and most beautiful essentials for mama and baby. 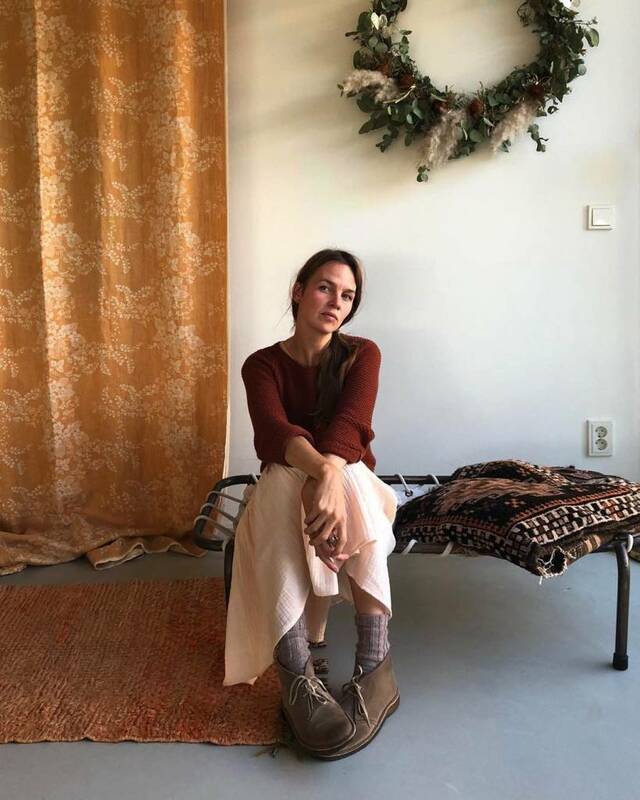 “I think my style, both in terms of clothing and interior, is a bit Scandinavian meets Hippie meets vintage. I love the simplistic style in Stockholm and Copenhagen, where people dress in timeless pieces and where you can find beautifully designed buildings decorated with the finest furniture. Less is more, without it ever boring or uncomfortable. I also try to get that back into my own home and wardrobe”. 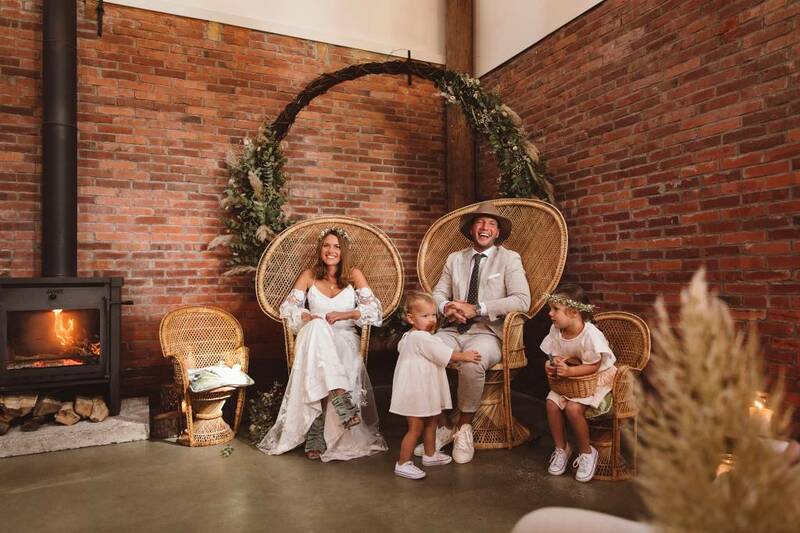 Guusje got married with love of her life Laurens in September 2018. They are such a pretty and kind couple, so it was a gift for us to make wreaths for their very special wedding day. 'The making of' was very exciting and done with such joy on a very beautiful location in the North of the Netherlands, It Flinkeboskje. We made various wreaths, so let’s explain what we did. What made you choose for a giant flower wreath? When you get married, some wedding clichés are inevitable, such as the use of flowers. But of course that doesn’t mean it needs to be a standard wedding bouquet. I was already familiar with Blomsterkrans for a while, I once ordered a beautiful wreath (which I still enjoy! ), so when I saw a picture of a gigantic garland as a background during the ceremony, I knew what I wanted and who to ask. 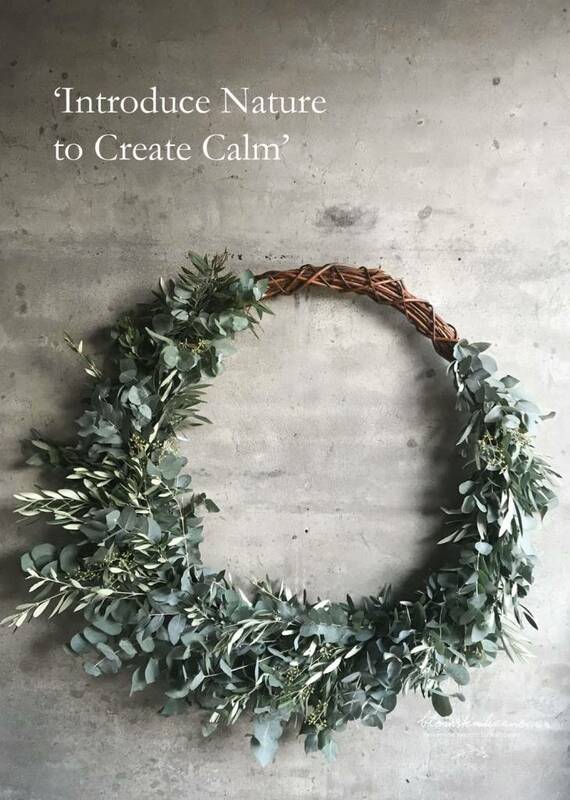 The base wreath with a diameter of two meters was designed by Blomsterkrans and consequently handmade by our willow weaving partner. On the wedding day, the base wreath was styled using eucalyptus, various types of grasses, thistle and dried flowers. The combination of branches and flowers created an impressive, but natural backdrop. Furthermore, we made a wreath for the bride to hold in her hands, as a bouquet. Very sophisticated and natural and perfectly matching Guusje’s beautiful wedding dress. What made you choose for a wreath as a bouquet? “When Blomsterkrans presented this idea, I had to get used to it. 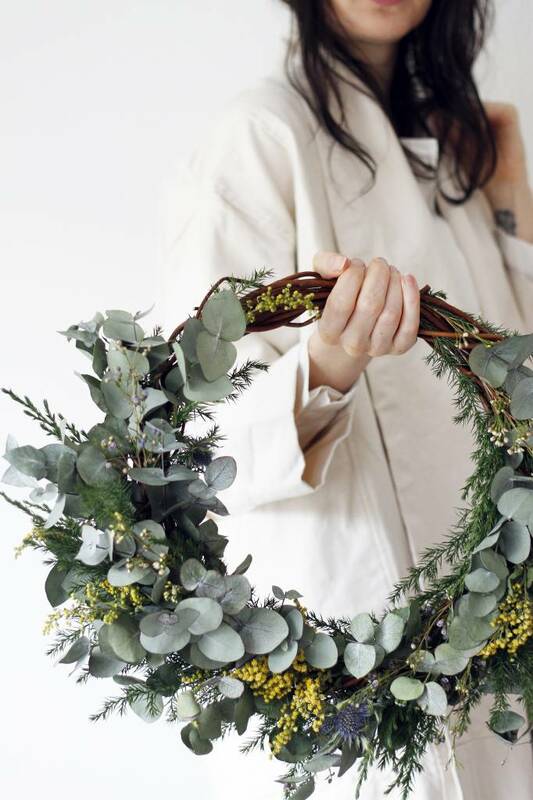 A wreath as a bouquet, is that not weird and how do you hold it? I think it only took me five minutes to think about it and then I gave in, partly because I think the work of Blomsterkrans is so beautiful, that I completely trusted the taste of Chantana and Bineke, even for my wedding. And the end-result was perfect. And I love the fact that my bouquet turned out to become an everlasting memory of this special day”. Lastly, Guusje asked us to make a flowercrown for both herself as the little girls. The bride’s flowercrown was made of the dried flowers we used in the hand wreath. The colour of the flowers perfectly matched Guusjes natural and warm look. Also the flower crown gives a lasting memory, as the dried flowers keep their beauty forever. For the girls we created flowercrowns with Gypsophila, which was simply adorable in combination with the white and natural tones of their dresses. Endnote: We couldn’t me more proud of this precious interview and want to thank Guusje for participating.